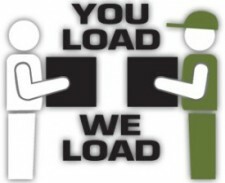 While many of our customers choose to load their containers themselves, more and more are using our “You Load, We Load” option – a unique junk removal service that takes the burden off your shoulders to get the dumpster loaded. We manage the whole process from start to finish. We’ll help determine the ideal dumpster for the job and show up with the right amount of professional staff and equipment. No longer do you have to worry about lifting heavy items, or finding friends, family co-workers, etc. to do your dirty work. Our crews bring decades of combined experience to the table, and we use specialized equipment to handle heavy, bulky items safely. Save your back and let us do the heavy lifting! United Services is a fully insured and licensed waste hauler serving Aurora, Naperville, Oswego and other areas of Western Chicago. We offer low rates and guarantee your full satisfaction. 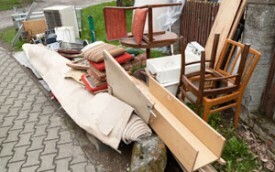 We look forward to helping out with your next cleanup or clean-out!